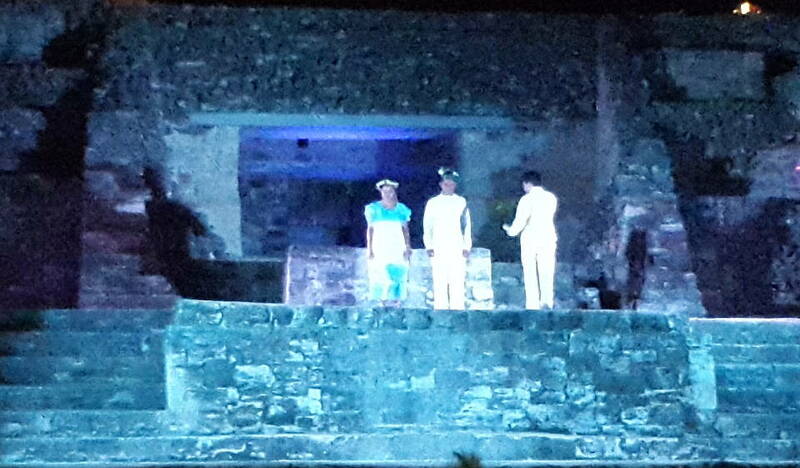 On 5 February 2015, NICH, BTIA, the Corozal Town Council, CJC, and other volunteers presented a re-enactment of the wedding of Zazil Há and Gonzalo Guerrero, the first European/Native American couple on the mainland of the Americas, which took place here, probably at the Chactemal/Santa Rita site, over 500 years ago. Here are some of the highlights from that celebration. 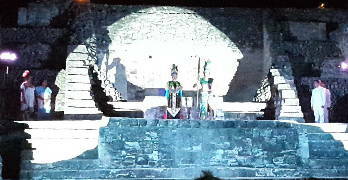 Pardon the quality of the photos. 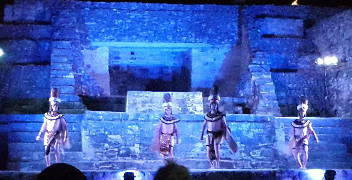 We were only allowed to take existing-light cell phone photos, but we were grateful for that. 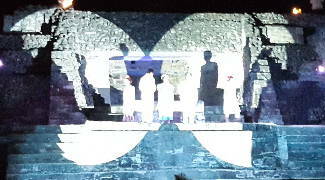 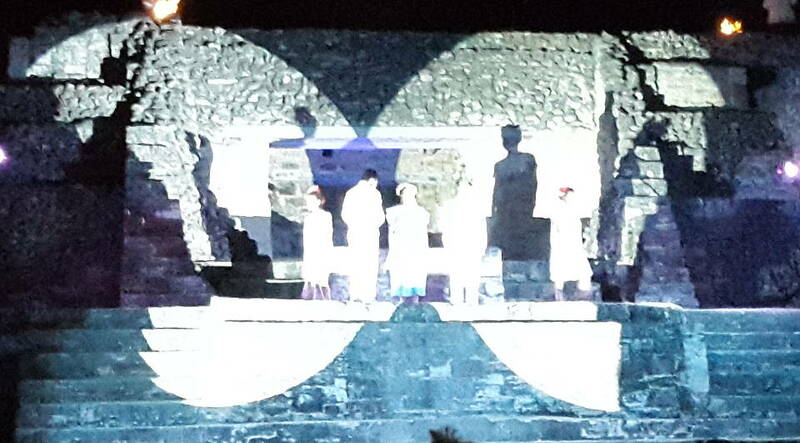 It does give you an idea of the wonderful choreography, lighting effects. 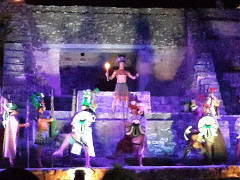 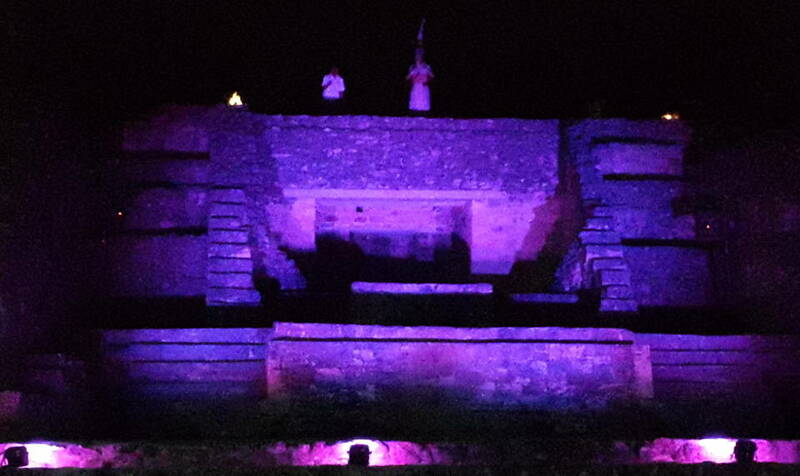 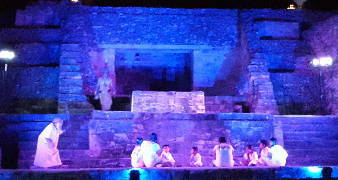 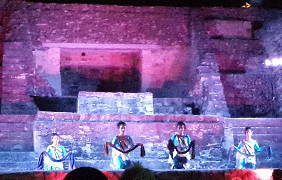 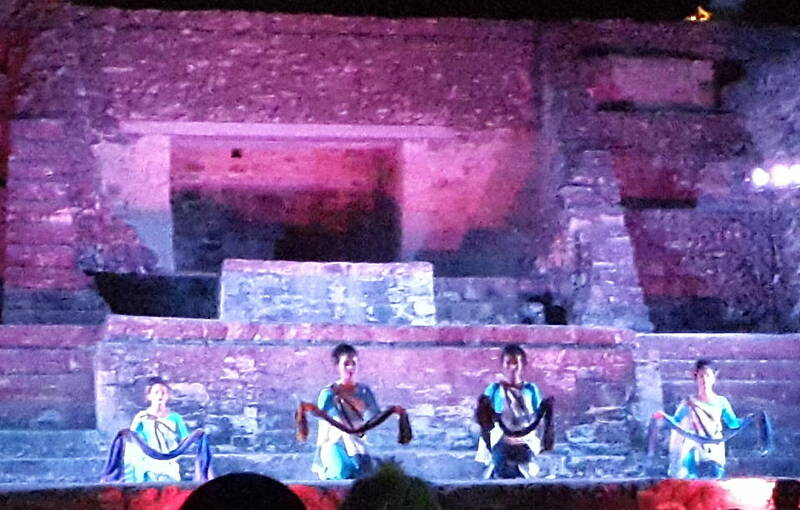 What you don’t get includes the excellent music and Maya chants that added to the spiritual effect. 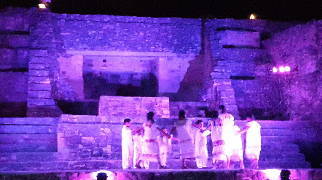 Printed from https://chactemal.com — Maya Wedding Re-enactment.